Paragon has announced that the Paragon System Operation Guide has won “Best Use of Video, Interaction and Multi-Media” at the Institute of Scientific and Technical Communicators (ISTC) annual awards. The award, which is given in recognition of communicating scientific or technical information effectively through the use of videos, demos, interactive content or other multimedia, follows a rewrite of the guide to ensure that Paragon customers can access quality information in a format that people really want to use. Paragon’s software documentation and online help is distributed with the installation CD. Users can install it on any workstation or server. From seasoned transport schedulers to new professionals in transport planning, customers can quickly find information that is relevant to their understanding and skip over what they don’t need with the help of special visual signposts, such as icons and heading levels. This award follows the recent opening of Paragon’s Technology Centre in the UK where customers can see for themselves how Paragon can help to optimise savings at every step of the delivery journey. This facility, along with the award-winning guide, demonstrates Paragon’s continued commitment to exceptional service and support for its customers. ISTC is the largest UK body representing information development professionals. The association encourages professional development and standards, research resources and networking opportunities for its members and industry affiliates, and promotes technical communication as a profession. 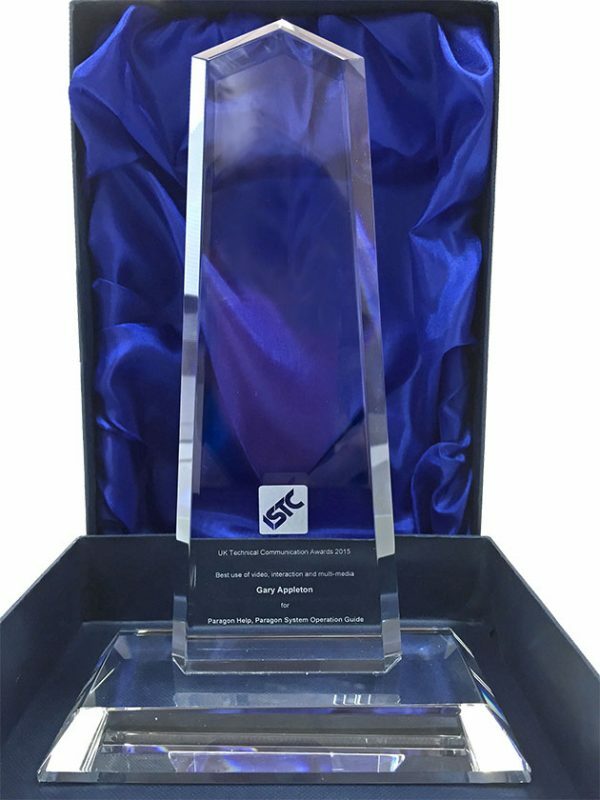 ISTC presents the annual UK Technical Communication Awards to recognise the value of clear, concise and effective information products, whether online or in print. The association hosted a Gala Dinner on September 30, 2015 where Paragon received the award for its customer focused user guide.